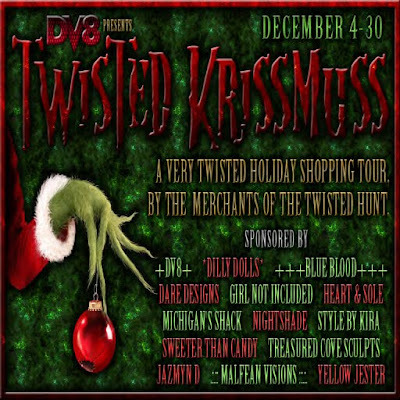 Twisted Krissmuss is still going strong! Over 200 stores to shop at, for all your twisted krissmuss needs! all items are transferable, and brand new, so you can be sure that you are giving something to someone that does not already have it! Check out the web site for more infos and a list of stores!